Joe Rudi - An important card in the Topps set that year ('73) considering he was one of the top players at the time and on the World Series champ team. Yay Yay Joe! You just hit a homer! But wait! Isn't that Gene Tenace in the middle? 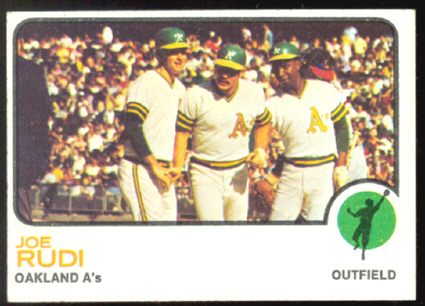 So we have a Joe Rudi card.. but he's on the left...congratulating ANOTHER guy at center stage! He's sharing the card with looks like Blue Moon Odom maybe on the right to boot! Jim B - Probably not really a bad-looking dude but some how they screwed up the exposure or the color or whatever and he's frighteningly pale, almost a ghostly apparition. Could he sue for that? 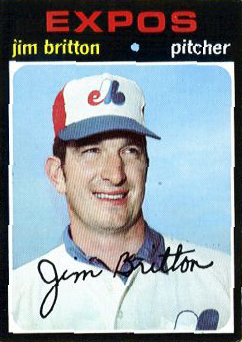 Jim Q - Struck fear into opposing pitchers. Because of his potent bat? No. Because he is a spooky white ghost...at least in this photo. This frightening phantom is famous for busting up a Tom Seaver no-hitter when he (Jim Q) was with the Cubs. Jarvis T - Who? With the Red Sox? Wait, aren't the Red Sox my team growing up. The one where I knew every single player, even the most obscure, and their stats? Then just who the hell is this exotic guy with the nondescript cap? Is he some phenom from Asia? Relax. You haven't lost it. He never played a game for us. Nice going Topps. 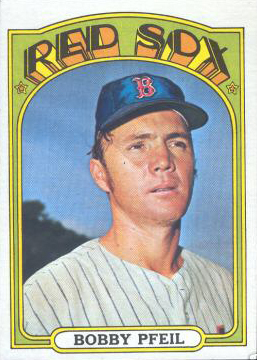 I mean that was SUCH an important card that they simply HAD to make sure he was in the Red Sox team set, right? Anyway, he came over from the California Angels in the Tony C deal. 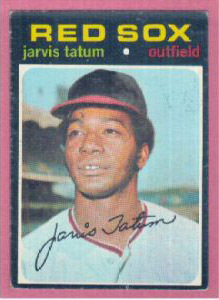 Confused a lot of us kids in '71 since there was also a Red Sox card for a Ken Tatum...a pitcher of some note who also came over in the same deal. He was white but still we wondered if they were really brothers. Sorta like when you're a kid and you have both Brooks and Frank Robinson on the same team, the O's. Bobby P - Huh? Bob Pfeil? 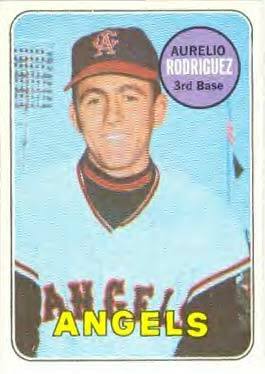 Yet another guy that Topps just HAD to get into the Red Sox set the next year...who never played a game for us! Naturally this and the Jarvis card mentioned above before were 'high number' cards and very, very, hard to obtain and are still hard to track down even today! 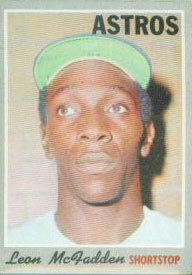 Probably THE most obscure member of the '69 Amazing Mets World Champs this side of Rod Gaspar. And of course, only Spelling Bee champs could ever get his name right consistently. Topps really dropped the ball with Leon on his rookie card...and then just went and did a lousy job again the next year. I mean they have him lined up against a brick wall like he's some poor misguided youth in a police lineup or having a mugshot taken. He doesn't seem too thrilled about it either. On the second card he at least has a baseball cap on (a miscellaneous one at that) so he looks a bit more like he could be a ballplayer but Sheesh! C'mon Topps, you could've tried a little harder and done a better job with Leon's cards. Billy R - This had to be recalled. A profanity (a nickname of some sort) on the bottom of the bat. No need to repeat it here. A notorious card some of you may already be familiar with. Mothers across the country must have been mortified. 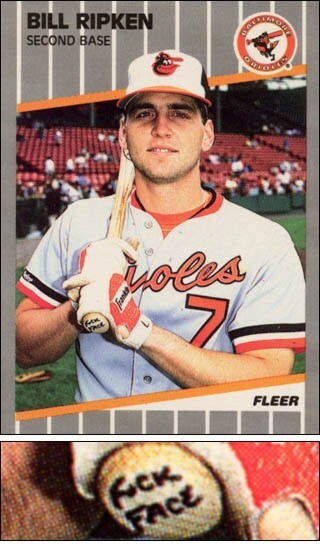 We'll assume it wasn't done on purpose by some wiseguy at Fleer. I imagine someone got fired over this.